I stepped into the working world and received my 1st pay check when I was 19 years old, fresh out from ITE with a mere Certificate in Business Studies - Accounting though God knows why am I in accounting since me and Numbers are not exactly best pals. I am not an ambitious woman who wants to climb the corporate ladder, fight office politics or micro manage people, I'm content just to be a white collar worker "minding my own business". Two decades later I'm still working, besides earning better pay, I have DinoPapa and an adorable & cute (ya I know, me not shy) DinoBoy by my side. Back track to 7 years ago when this much awaited little blue bundle of joy just enter into our lives, we were in 7th heaven and embrace him with our heart & soul. 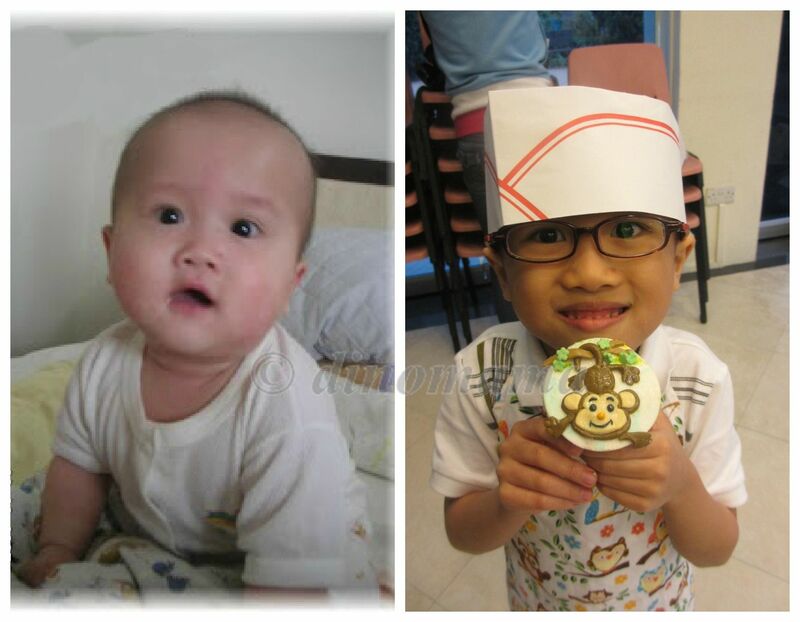 There was never a doubt that I will have to quit my job to take care of DinoBoy because we needed the money and frankly, even if we can afford to live by with DinoPapa's pay I know deep inside my heart that I am not cut out to do the Mum duty 24/7. 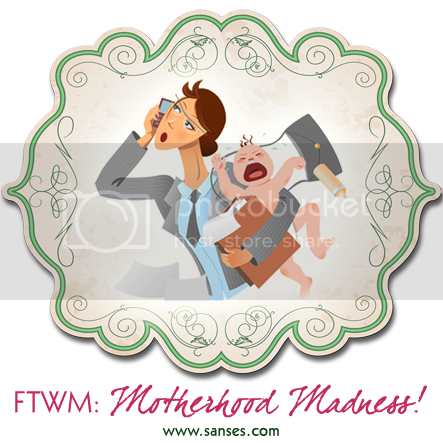 I can barely keep my sanity during the 3 months of maternity leave! So I went back to the work force as soon as it ends. I was splurging my hard earned money on him; toys, clothes, shoes, socks, hats and anything that caught my fancy just to lesser the pain Guilt has inflicted on me. The excuses I've given to myself are "I think his clothes/shoes/socks are getting a little bit tight, time to get new ones." or that he does not have this toy YET and he will LOVE it so its ok to buy for him. The items are usually not too expensive (I'm was a frugal Mum) but the frequency of buying is way too often. I am glad that I am working and drawing a fairly good salary to sustain my splurging but I know I must put a stop to this. Well, stop I did not but the frequency was lesser and I choose to buy educational toys or books for him instead. 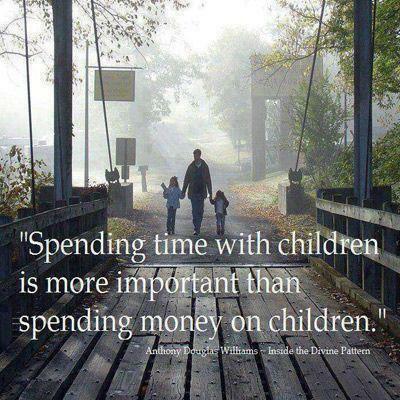 Besides being money well spent, it creates bonding opportunity for us. We spend many nights playing those toys after dinner and reading bedtime stories. So, perhaps I did miss out his certain "First" moments, milestones or achievements but I try to create memorable moments whenever I have the opportunity. Weekends and public holidays are precious to me and I will always plan some activities or arrange play dates. I make sure that we spend quality time together even if its just a trip to the nearby mall. Couple of months ago, I had a chance to have a taste of being a SAHM, it was tiring and really not suitable for every one, not even me. However I enjoy those 3 days where I was doing the housework, groceries shopping, cooking meals and fetching DinoBoy to & fro school. I did have a sense of fulfillment and accomplishment at the end of each day, though feeling dead tired. Now, as I stand on this side of the fence peeping over at the other side, do I yearn to cross over? Well, I do but the lure by the money and freedom to splurge is too great to turn my back on them. The time will come eventually, till then I am enjoying my status of being a Full Time Working Mum! I agree though, like you, one day I might decide to become a SAHM for good *gulp*, but till then, let's enjoy this moment! Jen, I can related to so many parts of your posts...the guilt trip as a working Mom, the buying of gifts (and material things) as an outward expression of our love for our baby, the frequent phonecalls from our child when we are at work...and even the short stint as a SAHM which confirms we are better off being at work...Thank you for sharing your journey...it is yet another reminder to me that be it SAHM, FTWM or WAHM, we all love our children no less. Great linky! Love Z's baby pic! Liked we said, we all have our untold story. Ayoh!! Even as a baby Z looks so cheeky! Hahaha! Thank you for sharing your thoughts Jen. I can relate to most of the points you have brought up. I do agree that the role of the SAHM does not suit everyone and not everyone is up for the role. I certainly can't see myself doing a good job! On a lighter note, I can't wait for Aly to be able to have a proper conversation soon, so I can chat with her when i'm at work!